Tri Sigma’s innovative leadership programs are developed for lifelong learning. We want to cultivate qualities of resilience and integrity through leadership development. Our programs are designed for various stages of membership. We have emerging leaders, volunteers, and seasoned professionals participating in all levels of our programs. 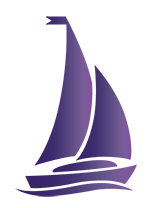 The Presidents Academy is a new National program for chapter presidents to learn and lead using the values of Tri Sigma as their guide. Participants will develop valuable leadership skills, receive education on current issues relevant to collegiate women, and establish a network of support that will empower them to create meaningful change in their chapter and community that is consistent with the mission, vision, and values of the Organization. The Academy debut is in January 2017. The Prevention Institute focuses on Partnerships in Prevention. This is an educational opportunity emphasizing the necessary partnership between members, National Headquarters, volunteers, advisors, and college/university partners to ensure safety for all members. Attendees will develop skills with the goal of empowering members to confront high risk behaviors but more importantly how to proactively identify risky behaviors and reduce the potential for harm. The program will highlight how the Risk Manager/Vice President of Operations and Honor Council roles fit into the prevention model – Risk Managers are proactive planners and Honor Council is a partner in education of members and individual accountability for unsafe behaviors. This program is an on line at your own pace experience that we offer our volunteers and alumnae each year. 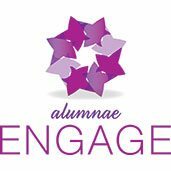 The chosen topic each year is selected because of the emphasis on cutting edge skill development that will prepare our volunteers and alumnae to lead and guide Tri Sigma and their communities. This annual institute focuses on the education of our newer/younger members and is designed to empower emerging leaders to lead with character. 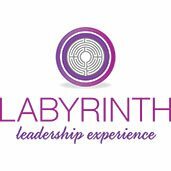 For the Tri Sigma who yearns to learn and live our mission, vision and values, the Labyrinth Leadership Experience provides a transformational, engaging and inter-generational experience for members to grow in their appreciation of the lifelong commitment associated with membership. 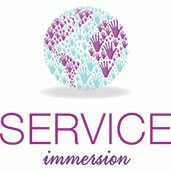 Featuring both domestic and international opportunities, the service immersion trips are intergenerational experiences that allow members to strengthen their commitment to volunteerism. Each experience provides a hands-on opportunity to explore personal identity, diversity, and social justice, which are crucial elements of empowering our members to change the world. Additionally, participants gain skills in project management, communication, and team development. Tri Sigma’s Convention occurs on the triennium calendar and is a celebration of all things Tri Sigma. Direct service, keynote speakers, and program tracks all contribute to a wonderful triennium gathering. We will gather in Las Vegas for our 45th National Convention in 2019. Online Education and training is not a new concept in Tri Sigma. We use our members-only community, Sigma Connect, for more than simply updating your address or registering for events. It is a daily resource for collegians, advisors, and alumnae. Sigma Connect offers our member education program, Essential Sigma, access to webinars and officer resources, our Volunteer and Advisory Training Programs, and all of our manuals. Along with our national sponsored leadership programs, our members are attending programs hosted by the North American Interfraternity Conference (NIC) and Association of Fraternal Leadership and Values (AFLV). Tri Sigmas have served as interns, mentors, and attendees and have benefited from these experiences. We are also proud sponsors of Hazing Prevention.org and Its On Us campaign for the prevention of sexual assault.